Do you sometimes wonder what to do with your left-over chicken? Sure you do and so do I. A lot of times, I'm sure it's Chicken Salad, but how about making a quick easy to take along snack or meal with that Chicken Salad. 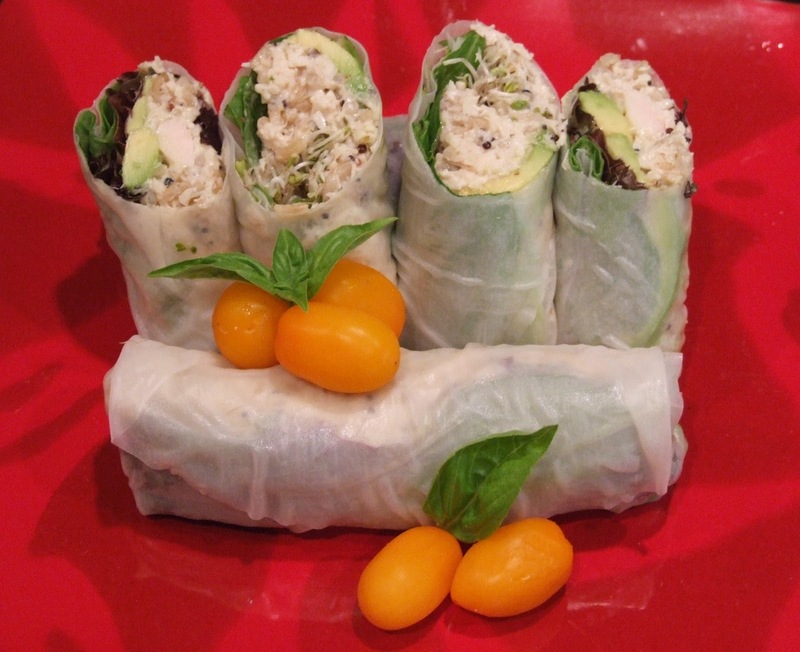 Add a avocado, some sprouts, maybe some quinoa or wild rice, and salad, roll it up and Voila! Chicken Salad Spring Rolls! Yum! Just shred your left over chicken finely, mix it with rice and quinoa (if you want some carbs in your filling) and then add a tablespoon or two of mayo, season with salt and pepper (or whatever you fancy) and maybe some lemon juice for a bit of acidity. Set aside. Prepare your other items, like avocado slices, lettuce leaves, sprouts, shredded carrot and arrange them in bowls. Cover your counter with cling film, set out a plate with water to soak the rice paper wrappers. Just place the rice paper wrappers in the water maybe 30 seconds or less, then lay them onto the cling film. Starting with the lettuce begin filling your wrappers and roll them up like a little burrito. Start by folding down the top, then fold in the sides and then wrap as tightly as you can. Put on a plate and EAT! These stay fresh for a day or two, just place in a container with a moist paper towel. You could do this as well with tuna, crab, tofu, salmon or whatever other filling comes to mind. PS: My next favorite hobby are horses.... volunteering at this rescue is one of my favorite things to do. Can you help us to keep these seniors well? 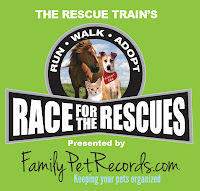 Check us out at The Golden Carrot or if you like to donate to the cause and support The Rescue Train Race for the Rescues. Visit to "The Golden Carrot"